John F. Harvey was born in Davenport, WA. Aug. 2, 1918, and moved to Spokane, WA where he lived until he joined the military service in 1941. He attended the Montana School of Mines and the University of Idaho where he was a member of Phi Gamma Delta. After joining the Civil Engineers in 1941, he transferred to Pilot Training in the Army Air Corps, and subsequently served with honors as a pilot during WWII. He flew in all the major battles over Japan and was selected to fly the First General Officer to survey the damage of the nuclear bomb drop in Japan. He returned to the USA in 1945, as a Major assigned to Mach AFB, Riverside, CA, where he met and married Lilas Doherty on May 6, 1946. Col. Harvey’s Air Force career included many first experiences, starting with being in the original cadre of officers forming the Strategic Air Command where he remained until he retired in November 1968. He was with the first officers coming from Washington DC to Bellevue, Neb., to establish SAC Headquarters for the Air Force in 1948. Following Nebraska, he was in the first group of officers to establish USAF bases in French Morocco, Africa, in 1951. In 1954 he transferred to Savannah, GA, heading up the B-47 Squadron of the 308th Bomb Wing, where he helped pioneer the first B-47 Air Refueling System and the First Alert System for the AF. After receiving the rank of Colonel, he was transferred to Laughlin AFB, Del Rio, TX., where he served with the very first U-2 Squadron at the 4080th Wing, for these very high altitude reconnaissance airplanes used early in the Cold War. Promoted to Base Commander, he supervised building the first base housing which received the award for Outstanding Housing in SAC. 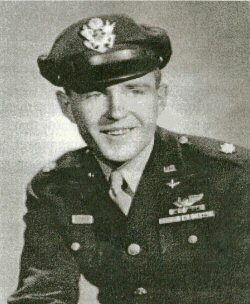 Among the numerous medals and awards Col Harvey received during his military service were The Legion of Merit, the Distinguished Flying Cross with 1 oak leaf cluster, the Air Medal with 4 oak leaf clusters, the Distinguished Unit Citation, the Asiatic Pacific Campaign Medal, and the Air Force Outstanding Unit with 2 bronze oak leaf clusters. Col Harvey and his wife have four daughters; five granddaughters and three grandsons. John F. Harvey, Col, USAF Ret passed away 16 Jan 2007. His memorial service was held 29 Jan in San Antonio, TX; Burial Service was held Jan 30 in Austin, TX.